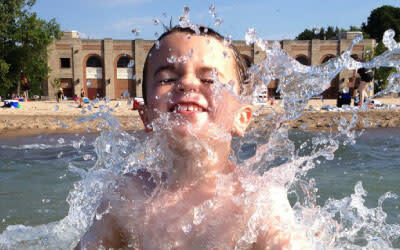 For a splashin' good time, visit one of the South Shore's fabulous water attractions. Whether your family prefers water parks, Lake Michigan beaches or splash pads, you're sure to find the perfect way to cool down on a hot summer day along the South Shore. 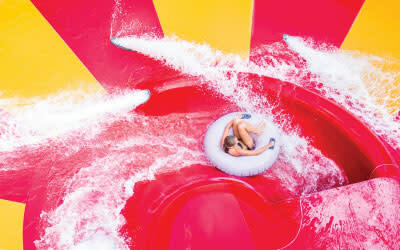 Deep River Waterpark offers splashtastic fun for the whole family. Float down the lazy river, jump in the wave pool or try the tube slides and body slides for wet, winding adventures for single riders or doubles. Deep River offers many amenities, including a wide variety of food and beverage options, the US 30 Surf Shop, and rental lockers and tubes. Deep River Waterpark is very family-friendly, offering free parking and allowing coolers in the park. The Indiana Dunes boasts 25 miles of gorgeous sand beaches along Lake Michigan. Perfect for swimming, sunbathing, building sand castles, geocaching, flying kites and playing games, these beautiful beaches are sure to please. 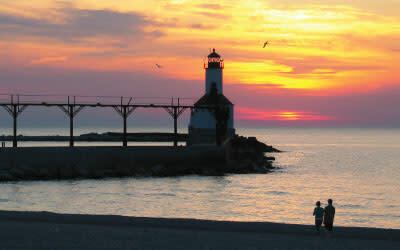 Choose from such locations as Indiana Dunes State Park in Chesterton, Dunbar Beach in Beverly Shores and Porter Beach. 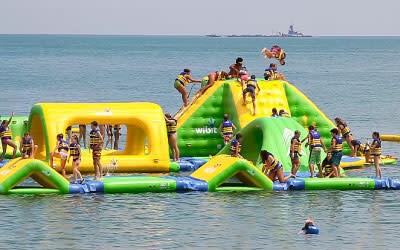 Whihala Beach is part of Whiting&apos;s magnificent lakefront development which includes Whoa Zone (a one-acre floating water park), a fishing pier, pavilion, lakefront gazebo, concessions and a boat launch. The state-of-the-art Aquatic Play Center at Wolf Lake Memorial Park is a perfect way for kids 12 and under to cool off during the summer. The facility also features a concession stand, picnic areas and a playground, and can be rented out for parties. Washington Park and Beach in Michigan City is great for families, including playgrounds, splash pad and a zoo across the street. 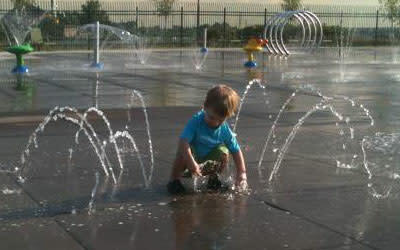 Your family is sure to find the perfect way to cool down and have a splashin&apos; good time along the South Shore. Waterparks, beaches and more! View the full list below.